Negotiations are considered an important part of the sales cycle and are therefore essential for companies to succeed in today’s business world. All companies negotiate, internally, externally, directly, indirectly, formally and informally. Behind every business negotiation are negotiators, unevenly skilled. The ability to negotiate is becoming more and more valuable for companies as they are increasingly dependent on relational capital and their ability to perform. One of the key factors in business performance is the ability to negotiate as companies commercialize their business models. The ability to bring relevant issues to the negotiating table can create value and simultaneously increase profits. For companies to succeed in negotiation they must master both distributive and integrative negotiation. Distributive negotiation involves parties claiming value in order to get the best possible outcome for themselves and integrative negotiation involves parties creating value where they are expanding the “claiming value” framework by adding more issues to the agreement, so mutually benefiting both parties. Skilled negotiators develop their own toolkit of successful negotiation tactics and reuse them in future negotiations as appropriate to the requirements of each situation. Studies have shown that negotiation skills are ranked the third most important type of skill that managers possess. The ability to become a successful negotiator, regardless of whether agreement is reached or not, is not a talent people are born with. It is an ability that is learned by gathering information, processing that information and matching it and estimating the results with regard to the requirements of a particular situation. Hence, one might ask, are companies training their employees in negotiation? And, if not, why not? Because the more one practices, the better one becomes and it might just increase business profits along the way. I am driven to share with you my enthusiasm for the book entitled “Drive. The Surprising Truth About What Motivates Us” by Daniel H. Pink. It is a really aprovocative and persuasive book and I believe it is a “must-read” for every manager, teacher and parent. Its author writes regularly for The New York Times, Harvard Business Review, Fast Company and Wired. He has published five books, including bestsellers that have been translated into 34 languages. In 2013, Thinkers 50 named him one of the top 15 business thinkers in the world. The author reveals the mystery of high performance and satisfaction that can be achieved at work, at school and at home. At the same time Pink dispels the myth of the “carrot-and-stick” approach and argues that it works only in a narrow set of circumstances (e.g. when solving algorithmic tasks). He shows that there is a mismatch between what science knows about motivation and what business practitioners do in this area. He regrets that too many organizations make their decisions and strategies about people and their talents based on outdated and unexamined assumptions that have their roots in folklore rather than in science. Pink’s solution is an entirely new approach, built around intrinsic motivation (in contrast to extrinsic motivation which is based on tempting people with a sweeter carrot, or threatening them with a sharper stick). purpose – the longing to do what we do in the service of something larger than ourselves. Instead of “if-you-do-this-then-you-will-get-that” rewards and punishments, which often destroy creativity, Pink recommends reliance on the unseen intrinsic drive. The drive to do things for their own good because they matter and because scientific research confirms what we know in our hearts. The key to relying on intrinsic drivers is engagement in activities that are interesting, ambitious and absorbing, especially for artists, scientists, inventors and students. When people are rewarded (extrinsic motivation), surprisingly, they have more difficulty finding original solutions while solving problems or creative tasks. So, they should motivate themselves and not wait for rewards. I am convinced that Pink’s “Drive” is a unique book that can change the way we think and transform the way we live and work. After reading it you will be driven to reinvent not only the model of your business, but also your life. Reference: Pink, D.H. (2009). Drive: The Surprising Truth About What Motivates Us. New York, NY: Riverhead Books. In the 1997 movie “Gattaca”, the entire job interview in a biopunk futuristic corporate world involved only taking a sample of the applicant’s urine for genetic testing. The corporate human resource department knew all there was to know about the applicant from the sequence of nucleotides, i.e. DNA’s building blocks. However, let us not forget that the way the notion of DNA is used nowadays (outside of biology) is often merely metaphorical (see e.g. Rovira, 2008). We should not allow ourselves to get entangled in metaphors. They are powerful tools of thought, but they may also be traps. They help us see new horizons, but they also create biases in our minds. They may be loaded with underlying meanings which can hamper our ability to be effective managers, leaders or educators. The popular misunderstanding about the DNA is that it is a “blueprint” of living organisms. Obviously, the blueprint is something defined, drawn and to be rendered, in the form of a final product, whether it be a house or a body. Once the construction process or development has been completed, there is nothing we can do, because the outcome is done. We know that a human being is not ready when its embryonic development has been finished. Now the programming begins in the form of nurture and its impact on the final product is profound. The authors of the popular recent book “The Innovator’s DNA” (Dyer et al., 2011) do not intend to follow the movie’s lead, but they still felt they should address the issue of genetics. So, they review studies on the genetic basis of creativity and conclude that “two-thirds of our innovation skills still come through learning” (p. 22). Although what they say is technically incorrect and is expressed in a sloppy way (but explaining that would take too much space), their message turns out OK, namely that our creativity and innovativeness are not limited by our genetic legacy. In short: our skills are totally determined by both nature (genetics) and nurture (upbringing, a.k.a. environment) in such a way that the effects of both factors in you and me are completely intertwined and inseparable (Jasienski & Jasienska, 2014). My personal creativity does not stem one-third from genes and two-thirds from education, but 100% results from gene-environment interaction. Why? Because DNA is not a blueprint, but a recipe, and we are not constructed as buildings but baked as cakes (metaphorically speaking, and following Dawkins, 1986): when baking a cake we cannot say that it tastes great 30% because of oven temperature and 70% because of raisins and flour. It is the interaction of factors that determines its taste. The same with our creativity: it is the outcome of nature interacting with nurture. Most importantly, even if creativity was 100% “genetic” (precisely speaking: even if all variation among people in creativity was due to genetic differences), creativity would still be perfectly modifiable and improvable by experience and education. Why? Because “geneticness” of a trait does not tell us anything about its potential for modification by training or therapy or better nutrition. These are simply two separate issues. This message comes from the discipline known as quantitative genetics and do not tell me it is not relevant for management. Quantitative genetics teaches us why we differ from each other and what could and should be done about it. It carries such fundamental knowledge that it should become a standard in basic education. Dawkins, R. (1986). The Blind Watchmaker: Why the Evidence of Evolution Reveals a Universe without Design. New York: W. W. Norton. Dyer J, Gregersen H, & Christensen CM (2011) The Innovator’s DNA: Mastering the Five Skills of Disruptive Innovators. Boston, MA: Harvard Business Review Press. Rovira SC (2008) Metaphors of DNA: a review of the popularisation processes. Journal of Science Communication 7 (1): 1-8. 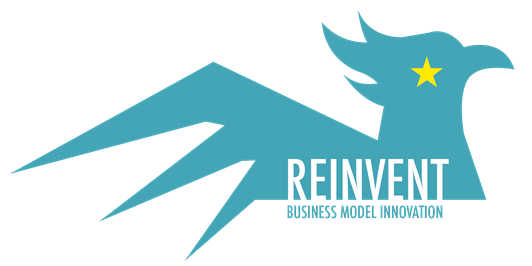 Over the years the business world has been revolutionized by new innovative approaches of running business such as innovative business models or big data. Business trends show that many new and functioning companies experiment with new theories and ideas in the hope that those innovative solutions will contribute to the success of the company. One method that has been gaining its popularity is the lean concept which focuses on quick product release by building a product with minimum features and functional benefits (minimum viable product,) good enough to meet customer expectations. In early stages of new product/service development, the company has an idea, a vision of a product or service that it wants to create. However, the idea about the value that the product will provide can be seen quite differently from the perspective of the company and its customers. In order to avoid variability in product value, many companies design business plans, come up with great strategies and conduct market research, which are all thought to be determinants of success. However, in many cases, business plans forecast the success of the company which are set very far from the realistic results. Based on the lean methodology, companies should experiment and test their products from the early stages of product development, rather than over-plan. The vision that the company has of a finished product is in fact, just a hypothesis. Therefore it is crucial to test these assumptions and verify them. Companies are encouraged to establish relationships with customers by offering a product, which will allow customers to provide a company with feedback information. These customers are innovators, early participants, which are less sensitive to the quality of the product in comparison with other customer segments. Experimenting with products/services allow the companies to collect necessary information and decide whether to continue the work on the offering, implement alternative modifications or completely change the product. After improving or continuing the work on the product the company should again take into account customer feedback which will reconfirm or reject the initial hypotheses. These experiments allow a company to track its progress. Also, they provide a chance to learn about the offer, its value proposition but most importantly, it allows the company to modify the product if necessary. The lean method eliminates unnecessary steps in the process of product development. Also, it saves time, money and directs the company in the right direction. Instead of focusing all its energy on creating a perfect product, the company should start with a prototype. This process will help adjust the business model in such a way that it is relative to the value proposition of the product or service. Through continuous interactions with customers, a company creates a product that brings value for both the company and its customers. Ries, E. (2011). The lean startup. 1st ed. New York: Crown Business. Blank, S. (2013). Why the lean start-up changes everything. Harvard Business Review. By Kjartan Sigurdsson, writing from Horsens Denmark. I just had an interesting conversation about silence in the workplace I recently joined. I have worked in various companies where the radio is left on all day or there is background music playing. The feeling in these places was that the music just filled the air and didn’t interrupt anyone. I have also worked in companies where there is total silence and you can literally hear a needle drop. Which is better? Which leads to better productivity? Which leads to a more positive work atmosphere? These are interesting questions worth asking. There are different views, and at times very strong views, about music in the workplace. Some people like having the radio pounding in their ears all day long and some people prefer soft unobtrusive background music that could not possibly offend anyone. At the same time there are people who prefer total silence with just the soft hurly-burly of people having conversations and moving around the workplace. Finally, there are the “ear-budders”; people who don’t care what sounds there are in the workplace as long as they can listen to what they want from a headphone. So, there are (at least!) four positions here. As I started to think about this and talk to people I found out that people actually complain about both soft unobtrusive music and the radio pounding all day long and found it annoying to hear the same news, songs and all that again and again. Some people simply don’t like the music offered on specific radio stations. Then, there is this group who can sway away from the silence and relaxing working environment and decide to, in a polite way, send the message that they are not available and put on their headphones to enjoy the music of their choice. Now we come to the core of the reason why I started to think about this as an issue. Organizations, in most cases, want to meet people’s needs and preferences in order to keep them happy and the workplace an interesting one to work in. However, at least how I observe it, in many cases things like sound in all of its different forms or silence are not given enough thought. By Kjartan Sigurdsson, writing from Horsens, Denmark. Motivation is important to every organization in order to stay innovative and open-minded. However, motivation has many different manifestations and can appear as a negative attitude toward changes, i.e. changes are not seen as having the potential to result in competitive advantage. Alternatively, motivation can include high optimism and belief that changes will always lead to success. But why is motivation so important? There is no doubt that motivation can work as an element or a driver for change. And, it can urge business leaders to move the business forward by spotting hidden opportunities and finding new solutions. However, neither a negative attitude toward changes or being too optimistic is the best key to success. Instead a well-defined business model, one that may result from business model innovation, is the key success factor. One might think that a negative attitude stems from managers’ cowardice or fear of change. But this can also be seen as being over-protective or the belief that changes will not lead to sustainable growth. On the other hand, there is the brave manager who runs faster than everyone else, unfortunately sometimes without a clear vision and well defined business model as a guide. An organization that is managed by people who are too preoccupied with making money but are not paying attention to the importance of having a clear strategy about what kind of business they want to run and where they should put their focus to help the business to grow is not likely to succeed in the long run. The same thing applies here as in the prior example; no business model and an ill-defined business strategy are likely to result in failure to succeed and lack of innovation. Things have changed in the organizational environment (at least in some cases); fear and control can achieve short-term results and compliance, but they won’t get you to the finish line or win the efforts of those you lead. Managing an organization by giving orders from the tower down the chain is a powerful position, but becoming an increasingly outdated style to run a successful business. Motivation by fear is an old belief system that many managers are tempted to use when they are not clear on their vision and growth opportunities. To avoid such a situation, it is important to put emphasis on a clear vision and a well-defined business model, which characterize a more situational leadership approach. Knowing when to push or pull your team comes about through a clear vision on strategy and knowledge that is generated through a well-established flow of information where all employees are kept updated and involved in business processes. Therefore, it is important for business leaders to stay motivated, win trust and respect and motivate their employees to stay focused on running a successful business. What difference does half an hour make? The half hour offset makes it more energy intensive to do the time-shift math required to figure out what time it is “back at the office”. This lead (at least for me) to a pleasant feeling of detachment from the daily grind. Even more influential was the realization that each day is not made up of 24 hours, but 48 half hours. Could a business model incorporate the Newfie mentality of the half hour by introducing a slightly distracting time offset? Such a business model might just shake the world.